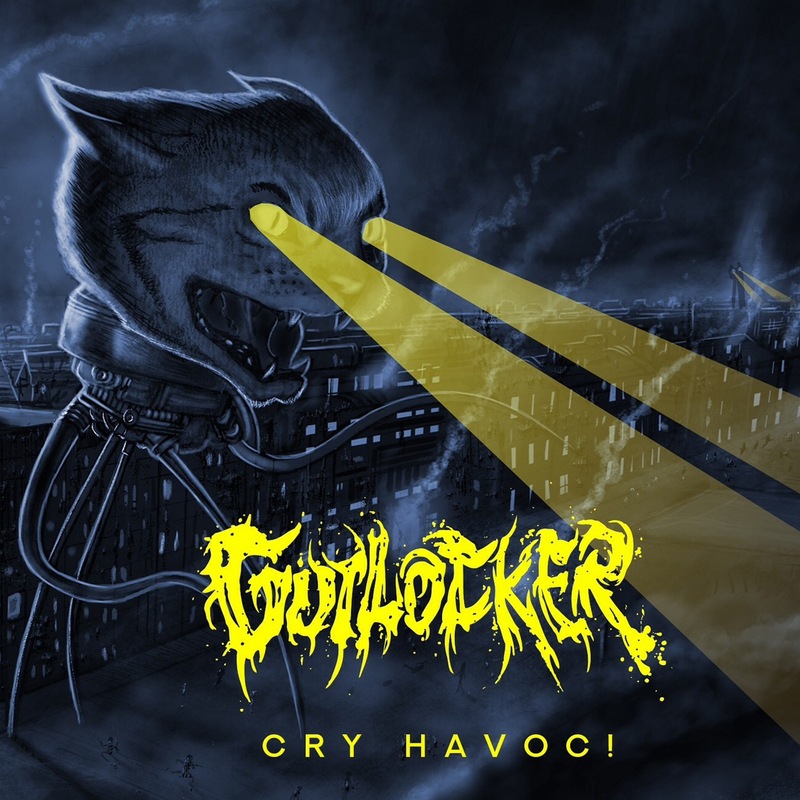 UK groove metallers Gutlocker have unleashed their new EP, Cry Havoc!. With increasing competition in the metal scene as bands try to make themselves heard, Gutlocker’s unique vocals and heavy chord progressions are helping them to stand out. Their following is growing through performances supporting Trepalium, Evil Scarecrow and Raging Speedhorn, as well as featuring at Bloodstock. Gutlocker’s chord progressions and rhythms conform to the groove metal genre; they clearly display knowledge of the genre. The dark, heavy guitar tones contrast the higher pitch of the soul-wrenching vocals. The raw edge of Craig McBrearty’s vocals creates an almost harrowing sound which takes the dark atmosphere of their tracks to another level. Stuck also displays another side to McBrearty’s voice with a few lines sung in cleaner vocals. The transition of clean into distorted vocals portrays a sense of frustration at being unable to escape; being ‘stuck’. The track ends with the sound effects of flicking through channels on a radio station. This ending feature combined with the atmospheric instrumentation and vocals creates a haunting, horror-filled sound. Sections of sound effects included in songs can easily feel out of place or used for the sake of it. The atmospheric instrumentation used throughout allows the track to segue into the sound clip without appearing disjointed or irrelevant. No Burden features various bouncing rhythms throughout the track. The verse in particular bounces between minor chords creating an eerie sound that contrasts the ‘happy’ nature associated with this type of rhythm, with the build-up in the track suggestive of a chase scene. The contrasting half speed that follows creates dramatic imagery of prey being caught by the predator. Gutlocker’s ability to convey dramatic scenes through their sound adds an extra dimension to their music and the dark themes they explore. Dean Walker’s thrashing of the drums add a further depth to the instrumentation. All of the tracks featuring on this EP are of a highly energetic nature. Gutlocker’s heavy, eerie tracks are incredibly atmospheric. The effect of each track differs as the band use varying methods to achieve the atmosphere they want to portray. The combination of heavy-toned guitars and screeching vocals creates a distinctive sound. It will be interesting to see how their music develops on future releases. ‘Cry Havoc!’ by Gutlocker is out now.